This gameplay trailer takes place during the early stages of Pierce’s investigation, though the influence of the Great Old Ones is already creeping into effect. To uncover the truth, players must unearth clues, interrogate locals, solve crime scenes, and overcome dangers both physical and mental. 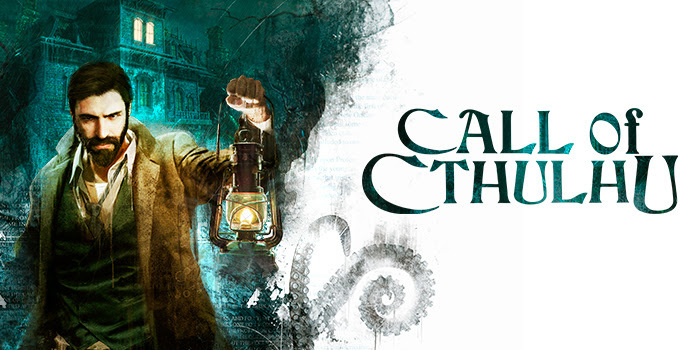 Call of Cthulhu, the official video game adaptation of Chaosium’s emblematic pen & paper RPG developed by Cyanide Studios, is a RPG-Investigation title packed with psychological horror and stealth mechanics for PlayStation 4, Xbox One, and PC. The game will take players to Darkwater Island, a grim, disturbing place and let them control Edward Pierce, a former war veteran and private investigator in 1920s Boston. Pierce has been tasked with investigating the tragic and mysterious death of Sarah Hawkins, an acclaimed artist who had recently moved with her husband and their family to Darkwater Island. Call of Cthulhu will offer a dark and oppressive ambiance that shall pay tribute to Lovecraft’s work and universe. This seemingly banal investigation might indeed lead you to more sinister forces and darker secrets buried deep within Darkwater Island. Play as Edward Pierce and shed light on the Sarah Hawkins murder, while facing the horrors of a grim island filled with monstrosities lurking in the dark.